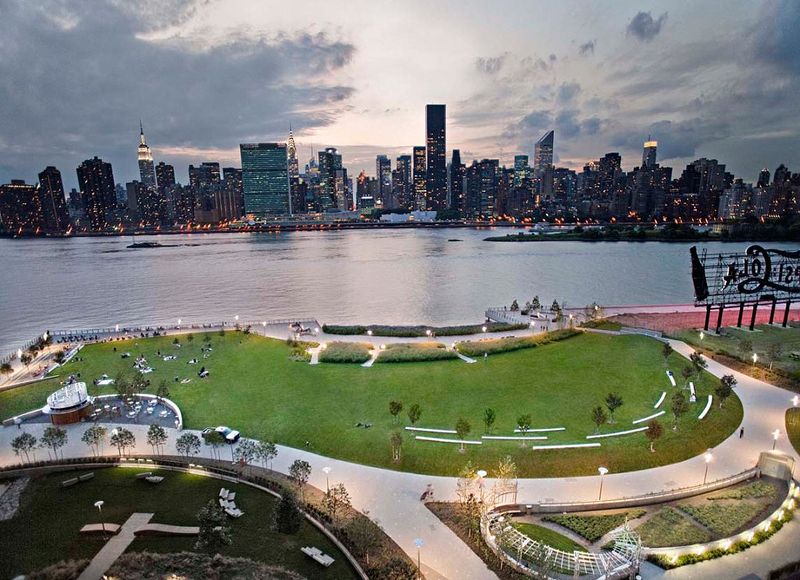 Sometimes referred to as New York’s best kept secret, the park offers a myriad of amenities and activities including the Riverside Promenade, picnic areas replete with tables, a carousel, an Olympic-size swimming pool, a 25-yard lap pool, and an eight-lane, 400-meter runner’s track. There are also five buildings outfitted with amenities like a 2,500-seat athletic complex with a fitness room and large restaurant. 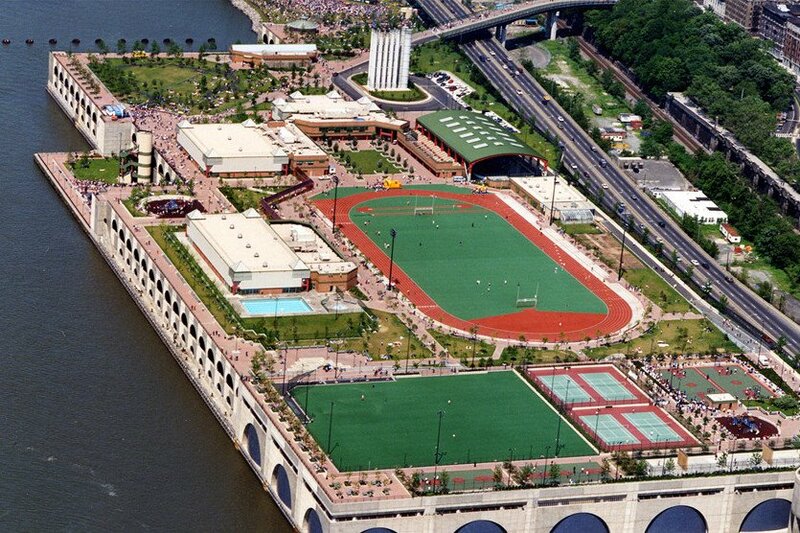 Also topping the list of waterfront pleasures is a 400-seat cultural theater, softball fields, tennis and basketball courts, a football/soccer field, playgrounds, docking facilities and a covered roller/ice skating rink. The covered rink, by the way, recently reopened after a $2.6 million makeover, and the New York Rangers were the first to slice the ice on opening day this past December. 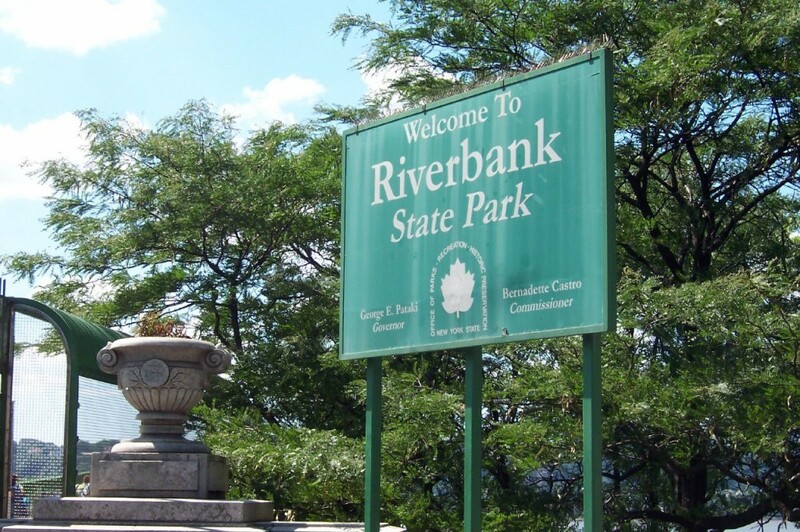 A huge asset to the surrounding neighborhoods, this state park offers city dwellers not just the above-mentioned perks, but also tons of swimming programs, ice-skating lessons, adult education classes, senior activities and party spaces. Unfortunately, bikes and pets are not welcome. Currently, Halstead Property is leasing a studio at 34 West 139th Street for $1,595 per month. Inside a post-war building, it features floor-to-ceiling windows, hardwood floors and a generously sized separate kitchen. Common amenities include a rooftop garden, a health club and an on-site garage. Doorman service is 24/7. 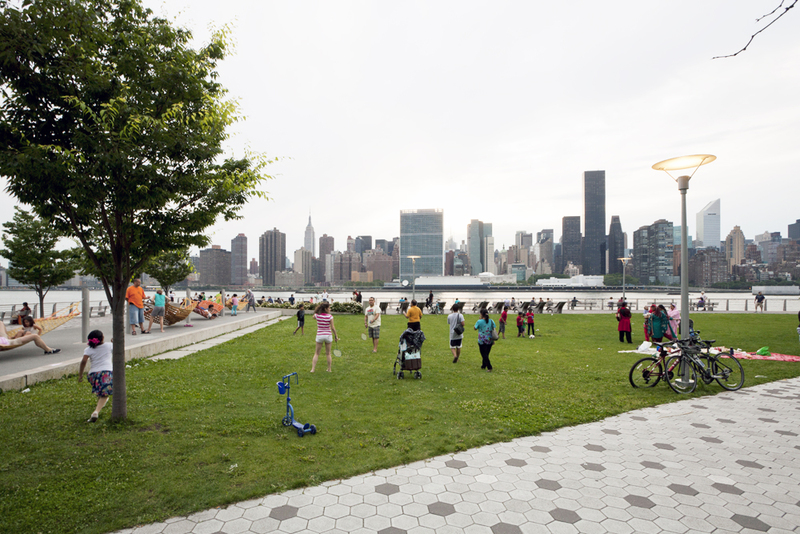 Another beloved state park is the 12-acre Gantry Plaza State Park at 49th Avenue and Center Boulevard at Hunter’s Point in Long Island City. 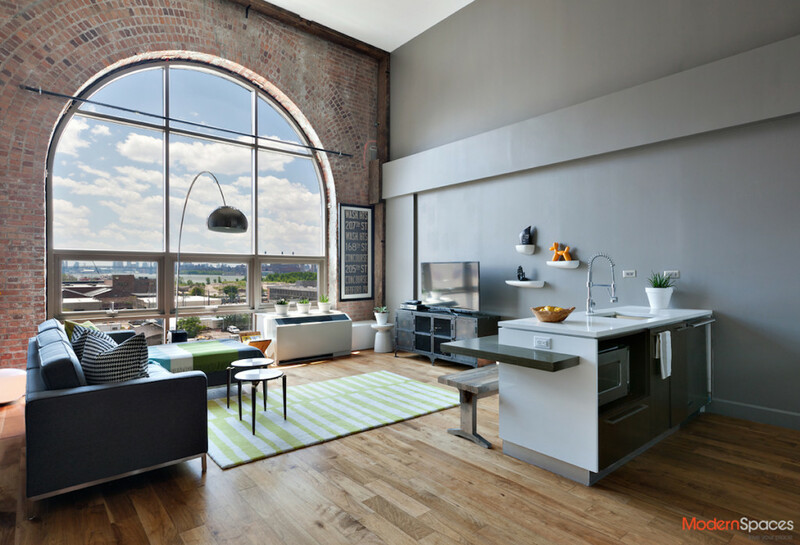 Set along the banks of the East River, the unobstructed city skyline views are unsurpassed. Though not as big as Riverbank, it is considered to be one of the most beautiful urban parks in the U.S. since opening in 1998. Named for the apparatus used to load and unload cargo from rail car floats and barges as far back as the 1920s, two restored gantries remain as the Gantry Park Plaza’s focal point. Designed to offer circular wooden walkways juxtaposed with metal ones framed by willow trees and lush tall grass, this park lets die-hard fishermen try their luck at one of four piers (cleaning table included) before or after a peripatetic stroll along the river or a quick nap on a hammock. Photo fanatics–both newbies and professionals–love to get a money shot of Manhattan’s iconic skyline. The park is also replete with blooming gardens, benches, chairs and summertime hammocks. The terrific playground that opened in 2010 is museum-worthy with its bold primary colors and futuristic shapes (a ship-like structure is a pirate-playing magnet for the kids) and a water play area debuted in 2012. Athletic types can head for one of the ball courts and picnickers (sans any type of grill) can easily find a table. There is a dog run on Vernon Boulevard and 48th Avenue, but if you promise to put your pooch on a leash, the garden area is at your disposal. When it comes to Macy’s spectacular fireworks extravaganza on the Fourth of July, upfront viewings are about as good as it gets. NOTE: After several years bedazzling the skies over the Hudson River, the celebration returned to the East River last summer. As most New Yorkers know, the housing market in Long Island City has been white hot for years. Currently Town Residential is exclusively selling a rarely available two-bedroom condo at 46-30 Center Boulevard, which happens to be a stone’s throw from the park. Features include appliances by SubZero, Viking, and Bosch and a deep soaking tub and a mosaic marble floor in the master bath. The price is $1.749 million. Aptsandlofts.com is currently the exclusive leasing and marketing agent for Gantry Park Landing, a new rental development just a block from the park. Count on lots of condo-like finishes and top-notch amenities. What’s left (the unit mix is studios to three-bedrooms) starts at about $3,300 a month. And of course, we featured this Powerhouse beauty with its dramatic windows and views of said park just this morning.